Happy Monday, loves! Transitioning into this colder weather isn't so bad when you've got the right wardrobe. I'm still suffering from some summer withdrawal here and I can't believe the weather got so cold so fast! 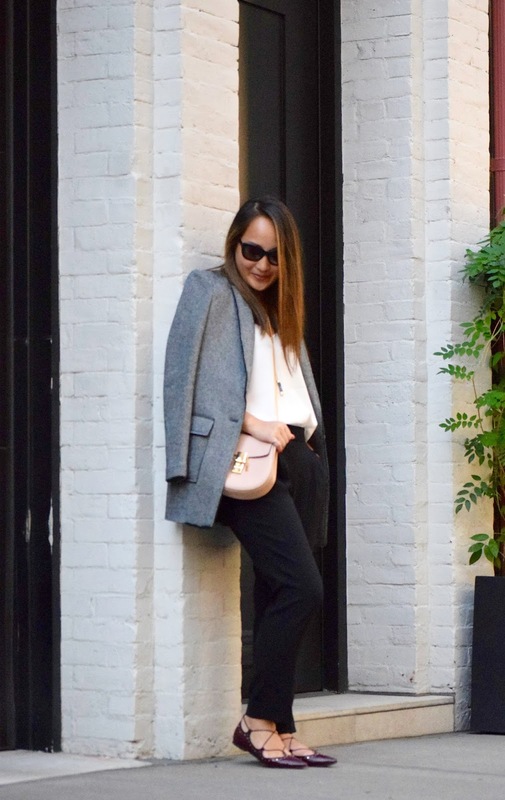 But anyway, I'm transitioning into the colder months with one of my favorite pieces--the boyfriend blazer! So happy that this particular one is made of wool material, keeping me warm during those brisk fall mornings. 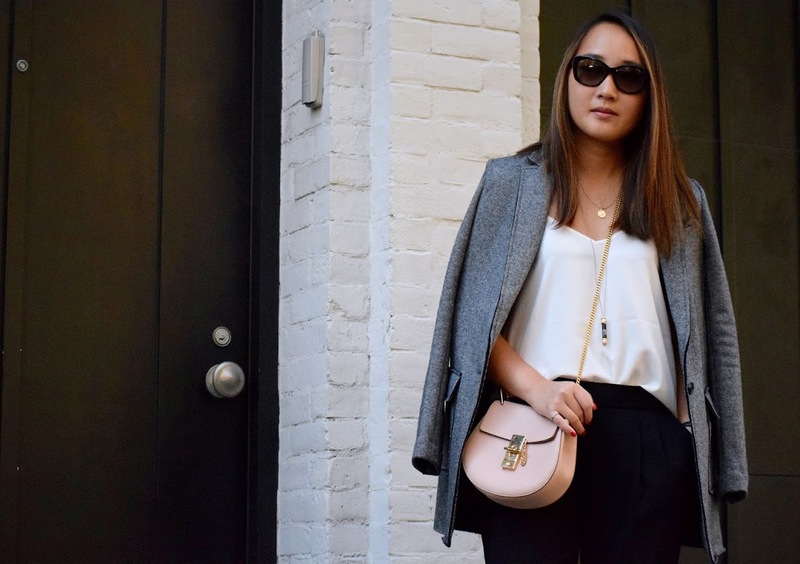 This wool boyfriend blazer is one of the most versatile pieces I own for fall. It's great for those warmer days over a dress or a skirt, and perfect for the office with a pair of pleated trousers! Love the oversized design of the piece, giving it a more casual vibe to offset the structured look. I'm really leaning towards neutrals this season--so be prepared to see a lot of grey, blush and beige tones! I find that the more neutral tones I have in my wardrobe, the easier it is to get dressed in the morning, since all the pieces essentially look well together! You can't go wrong with a neutral closet! Also think that the weather has been affecting my mood and style, as it does every year. This look was actually my first outing with these studded lace-up flats! I've been going a little lace-up crazy since the summer and I actually got these a few months ago. I couldn't wear them out until now cause the weather had been way too hot! Have to say, it was worth the wait...and I'm so glad I got it when I first saw them cause they're all sold out now! Not to worry though, I've written a whole other post about lace-up flats and linked a TON of options for you guys here!